The Exynos variant of the Samsung Galaxy S8 can now be dual booted, thanks to XDA member yshalsager who previously ported over the DualBootPatcher app to the OnePlus 5 a few days ago. 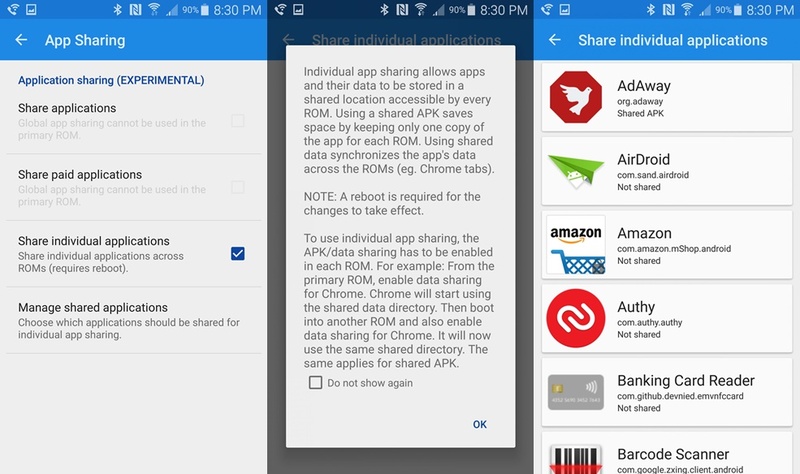 The app is capable of patching your kernel, ROMs, GApps, and SuperSu, adding custom pieces of code, and modifying your system partitions to support the secondary firmware. Since the app is open sourced, feel free to give a look to the whole process going on in detail. The procedure for dual booting your device is a fairly simple one. Just ensure that you download all specified files and follow the guide given below in a step by step manner. Swipe right to open Menu > ROMS. Go to ROM Settings (primary ROM 3 dot menu) and select Update Ramdisk. Open the app again, followed by Menu > Patch Zip File. Ensure that your Device is set to Samsung Galaxy S8 and under Partition Configuration select Secondary (will install 2nd ROM in /system) or data slot. Click Continue and select save location. After the file is put in ‘Queue’, click Confirm. It will now open the terminal and begin flashing the file. After the file has flashed, you’ll see a success message in green. Click back and you should see your newly installed ROM along with the Primary ROM. Reboot and wait till finishing second ROM’s first boot. 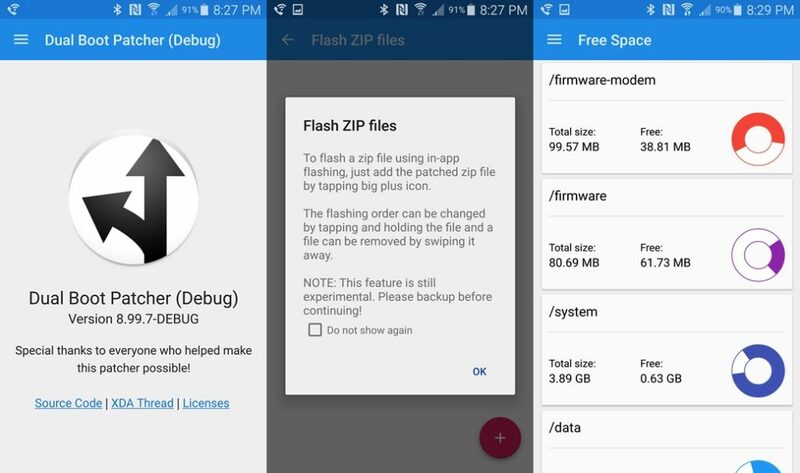 Install DualBootPatcher apk so you can easily switch ROMs or flash DualBootUtilities.zip and switch ROM manually. Primary: Normally used for installing a zip to the primary ROM. It is not required but is strongly recommended because it has code to prevent the zip from inadvertently affecting other ROMs. Dual: Dual/Secondary is the first multiboot installation location. It installs to the System partition. This is a good spot for installing a second ROM because it doesn’t take any space away from the internal storage. Multi-slots: There are 3 multi slots- Multi-slot-1, Multi-slot-2, Multi-slot-3. These install to the Cache partition. This is specifically for devices that have a massive cache partition. Data-slots: There can be an unlimited number of data slots. These install to the data partition and eat up space on the internal storage. This is useful for devices where the system partition is nearly full and the cache partition is tiny. These slots are named ‘data-slot-[id]‘.